Looking to run a 5K or 10K race? Thinking of tackling your first 5K run? Love to walk for health? Are you a seasoned runner looking for an inspirational and fun race along a scenic oceanfront course? Looking for a great cause to support? Or, is your business looking for a meaningful sponsorship opportunity? Run Seal Beach, the little run with a big heart is the event for you, your family and company. On April 6, 2019 thousands of people will be running, walking and raising funds for the Seal Beach community at the 45th annual Run Seal Beach 5K/10K and Kid’s 1K Fun Run through historic Old Town, Seal Beach. Registrations are pouring in between now and March 5, which is the final day of the early bird special, offering $5 off the regular registration fee. March 5 is also the last day of early bird pricing for team members and Feb. 25 is the last day to add a new team. Those wishing to take advantage of this special pricing can do so at www.runsealbeach.com. Run Seal Beach features a 5K/10K run, a 5K Walk, a 1K Kid’s Fun Run and a Kid’s Fun Zone, a safe and fun place for kids ages 3-10 to be entertained while parents complete the 5K/10K. 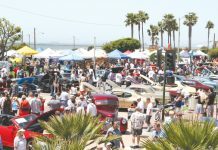 Run Seal Beach is one of the largest grant-giving organizations in our region. Funds go to a variety of non-profits, particularly in the sports and recreation sector. 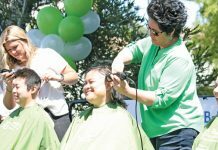 The entire Los Alamitos Unified School District is the major beneficiary with more than 48 percent of the total funds raised over the last fifteen years. 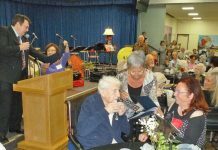 Other major recipients include the city of Seal Beach Community Services/Recreation Department, police, lifeguards and other Seal Beach and Los Alamitos based non-profits. In general, grant recipients range in awards from $500 to just over $7,500. Uses are usually for direct equipment costs or improvements to programs for the recipients. For many groups, like the Los Alamitos booster clubs, the Run provides vital funding to support many of their direct costs. The local run relies heavily on sponsorships to defray expenses and enable it to give back to the community. 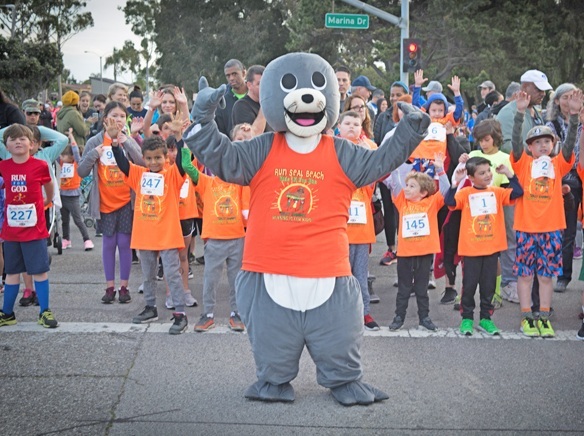 Since 2003, Run Seal Beach has given back more than $1,680,000 to benefit the greater Seal Beach area including Rossmoor and Los Alamitos – a feat they could not accomplish without the support of their sponsors and partner, the City of Seal Beach. The Kid’s 1K Fun Run T-Shirt Design Contest has begun. The 2019 theme is “Party on the Pier.” The deadline for entries is on February 28th, so if you are currently a student or home schooled in the Los Alamitos Unified School district and are under the age of 10, you are eligible to win! Contest rules and the entry form can be found on the Kid’s Run/T-Shirt Contest page of www.runsealbeach.com. The Kids 1K Fun Run is capped at 400 runners in order to ensure a quality experience in the Kids Fun Zone throughout the duration of the race. If you want to have your child in the run, be sure to register now and save. For more information on sponsorship, volunteer opportunities, event registration and general information go to www.RunSealBeach.com and sign up for April 6, 2019. Be sure to join in the fun on race day, as Run Seal Beach will only have more opportunities to be a part of the heart this year. Deb Machen is board secretary of Run Seal Beach.